« Are Economists Useless, Despicable, and Loathsome People? 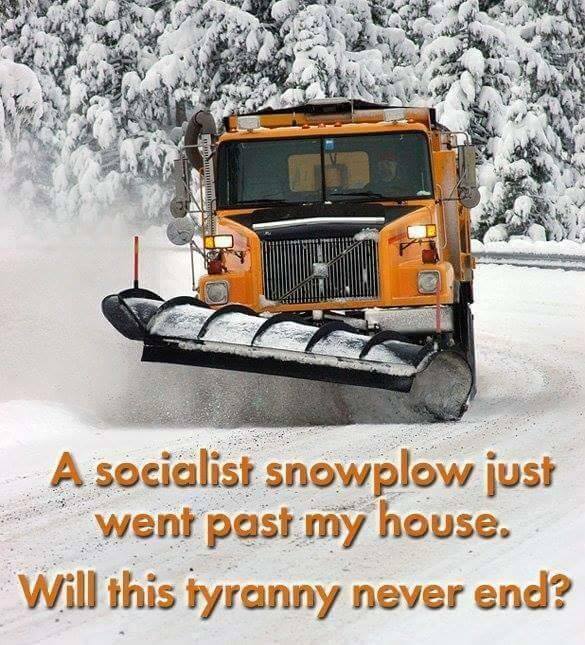 And now, courtesy of a left-leaning, quasi-populist softball buddy, we have our new addition: The tyranny of government snowplows! Now that we’ve all enjoyed a good laugh (because some of us libertarians can be very doctrinaire and dour, and thus deserve to be teased), it’s worth noting that plenty of places, such as private communities, shopping centers, etc, do rely on the private sector. And it’s no mystery that the snow in those places is generally cleared faster and at lower cost. That being said, most libertarian types are far more tolerant of local governments spending money on things that arguably might be public goods. Indeed, one of our principles is that things tend to go awry (like the water scandal in Flint) when responsibility and accountability are blurred because of involvement by state government or the federal government. So most of us will tolerate snow removal by local governments, even if we would prefer the private sector. P.S. I also have a collection of pro-libertarian humor. P.P.S. 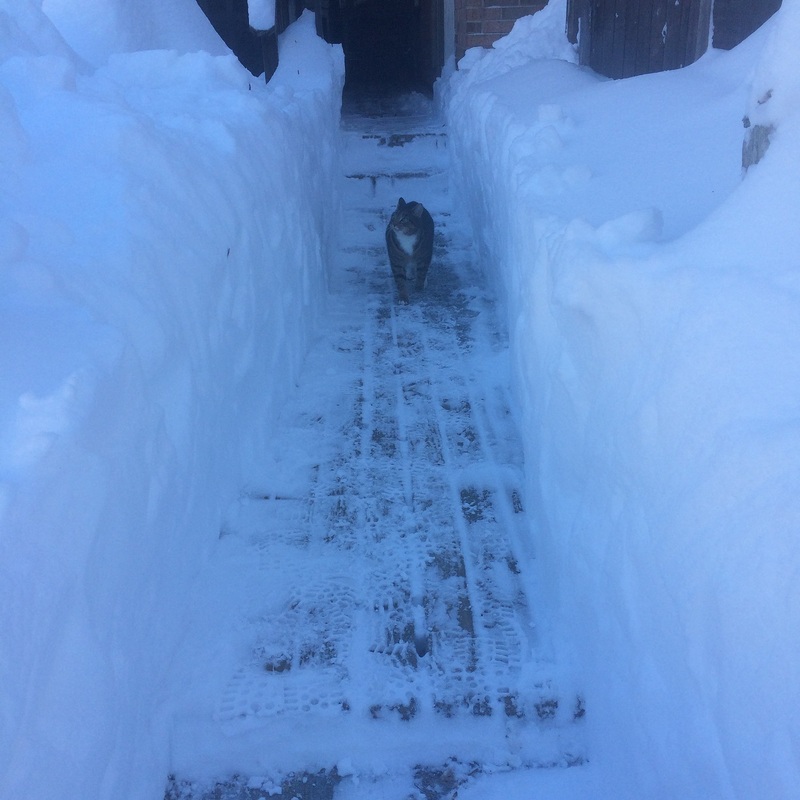 Just in case you want to vicariously share my snow-shoveling misery, this picture will give you an idea of the size of the problem. Though it is nice that one of the cats is helping to point the way. 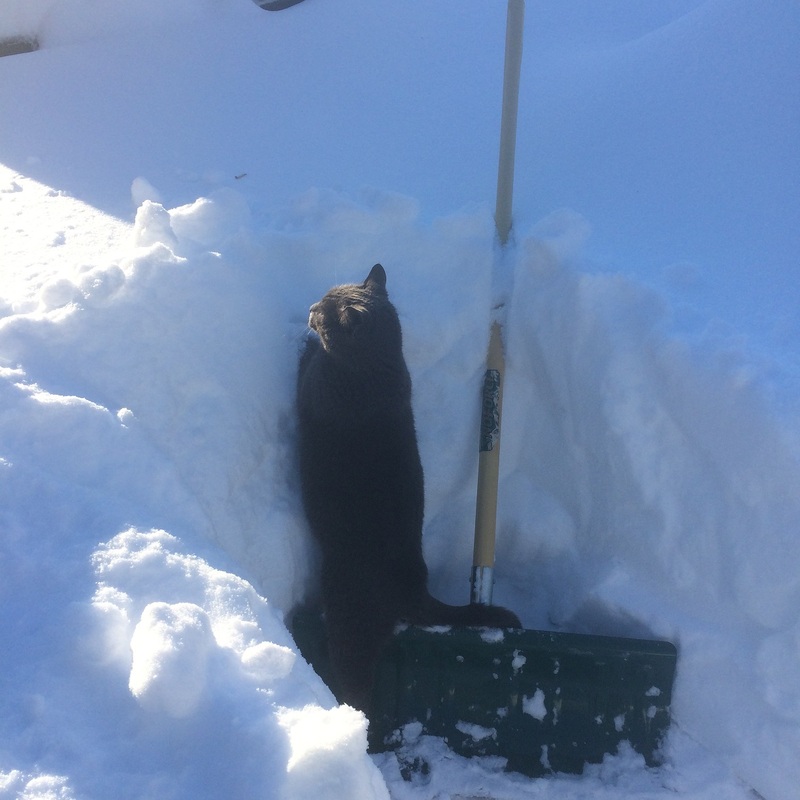 And another one of the kitties seems rather fascinated by the walls of snow. 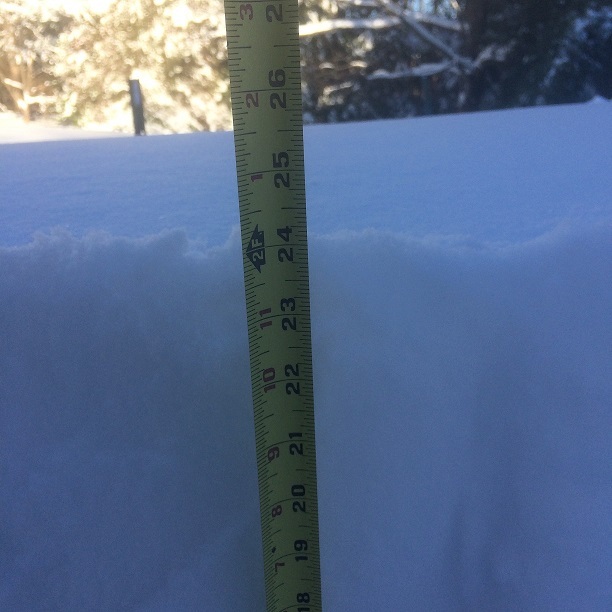 For what it’s worth, this snow definitely beats the December 2009 storm and also is heavier than the February 2010 storm. P.P.P.S. Since I’m not as smart as my neighbor, who parked at the end of his driveway, I have hours of work ahead of me. Too bad there aren’t any criminal, unlicensed teenagers looking for work. libertarians are creepy… and deserve to be made fun of… but… they could well be the saviors of the republic… most of them use their energies in big ways and small… to promote and preserve personal freedom… I am not sure if I am one of them… but I am sure that progressive statists would fined me creepy… and probably would not want to give me a hug… or ask me to join hands and sing combiah…………..
Sure, I laughed, it was a clever quip. But my complaint is not when the government snow plow shows up on my street, but when I have been paying my taxes and the snow plow DOESN’T show up on the street. In any case, on the list of things the government does that I complain about, maintaining the roads is very low. When we get the government out of telling me what medical insurance I have to get, what light bulbs I can buy, what milk I can drink, who’s allowed to cut my daughter’s hair, what charities I am required to support, when I am allowed to practice my religion and when I’m not, etc etc, then I’ll worry about the proper libertarian approach to road maintenance. Love your commentary, but take-it-or-leave-it pro-tip: embed the pictures. Lotsa links to libertarian cartoons which I’d like to see, but click the link, chuckle, close the new window; clink the link, chuckle, close the new window; click the link, chuckle, close the new window; and if just these three are annoying, imagine the remaining dozen or so … click the link, chuckle, close the new window; click the link, chuckle, close the new window. Nobody goes to blogs to do additional research. And if, as below, some links are to previous articles, perhaps include a salient paragraph to help us with the gist of the reference. Then, if we’re intrigued enough to pursue additional information, the link is always available for the more dedicated among us. I’ve got around fifty blog favorites, and if I spend a mere five minutes per day with each I’ve committed more than four daily hours to the ‘Net. These days, just assume we’re all ADD.